This book hooked me into an extremely exciting as well as thoughtful story. I really enjoyed reading this fascinating adventure about a curious girl called Sophie and her guardian (the person who found her floating in a cello case in the middle of the English Channel), Charles. A very grumpy woman and perfectionist called Miss Eliot says that ‘trousers are for boys, not girls’. There are so many comments you can tell Miss Eliot about that comment. But, when Charles receives a letter from Miss Eliot’s brother about a single man raising a young lady who is not at all related to him, is absolutely unsuitable, they both run away to Paris, France. Where lies unleash and a proper adventure begins. Read this book to find out more about this exciting adventure! Tawa Library have their event on Thursday 11th April at 3.30pm – 4.30pm. Johnsonville Library have their event on Friday 12th April at 3.30pm – 4.30pm. Come along to our free movie night on Friday 5th April at 5.30pm at Johnsonville Library. This month as Pitch Black threatens to take over the word with his terrible team of Nightmares, who will step forward to protect the world and all the children in it? Well, the Easter Bunny, Santa Claus, the Tooth Fairy, and some others join together to guard the children who believe in them. But then a new mischievous figure is named as the next protector, and the rest of the team aren’t sure if he’ll be up to the job. Can this new guardian save the world from Pitch Black? Can’t guess what film we’re talking about? You can call the library or talk to a librarian to find out what is playing each month. Then come along to Johnsonville Library on Friday 8th March between 3.30pm – 4.30pm and have some fun by creating and completing Lego challenges. 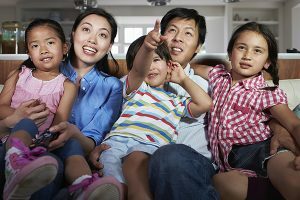 Come along to our free movie night on Friday 1st March at 5.30pm at Johnsonville Library. This month follow in the adventures of a clumsy, vine-swinging king of the jungle. With friends including a talking gorilla and an elephant who aspires to be a dog this movie is full of slam-bang action and fun. Twelve years old, Prosper and five years old, Boniface are brothers being pursued by Victor Getz, a private detective. The boys’ aunt and uncle, Esther, and Max Hartlieb want to find Boniface (Bo for short) to adopt him because the boys’ mother passed away. They only wanted to adopt angelic Bo, and they intend to send Prosper away to boarding school because they believe Prosper is too old to be adopted. Read the book for more! This is a wonderful book and I recommend any age can read this. 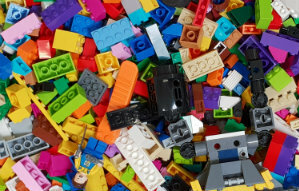 Then come along to Johnsonville Library on Friday 8th February between 3.30pm – 4.30pm and have some fun by creating and completing Lego challenges. I like the baby cat because it looks funny.